As General Counsel, Salle Yoo ensures that Uber can rapidly expand its global presence and sustain long-term growth in existing markets. She and her team oversee an increasingly complex set of legal and regulatory matters, as Uber continues to attract hundreds of thousands of driver partners and riders globally. 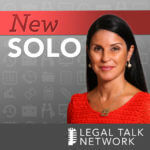 Prior to joining Uber in 2012, Salle was a litigation partner at Davis Wright Tremaine LLP, where she represented energy, telecommunications and technology firms. When she left to join Uber, it was because of her excitement about its potential to change the way millions of people move around cities. Salle serves on the Museum Council for the Asian Art Museum and is a member of the Council of Korean Americans. In 2015, Salle was named one of San Francisco Business Times’ Most Influential Women in Bay Area Business. She previously served as Secretary, Director and Chair of the Judiciary Committee for the Asian-American Bar Association of the Greater Bay Area. She graduated from Scripps College and Boston University School of Law.